Every morning, after getting my bucket, I grab my writing instruments - a black or blue ink ballpoint pen (preferably a nice one ... I love a nice good pen but so do my children, so typically I find myself with something basic grabbed at a back-to-school sale), a red ink ballpoint pen, and a yellow highlighter. I also grab my water bottle and phone, but it's the writing instruments that I absolutely must have to get into my groove. The black or blue pen is used to write the schedule on Monday morning. I also use it throughout the week to take care of my business stuff and notes for myself. When the boys have questions and need help with their work this is the go-to pen for math examples. The red pen is for checking. The majority of our schoolwork is still done with pencil on paper, the boys have a few online classes but 85% of their work is done at the kitchen table with pencil to paper. All mistakes are circled and all must be corrected. Yes, much to the dismay of my children, they do all their work until it's correct, and I just keep circling until they do. The red pen is also used to check off work on the schedule, it stands out from the blue/black the schedule was written in so I can easily glance and see what's done. I also use the red pen to put a checkmark on their completed work. This way if I forget to check something off on the schedule they can show me, easily, that they did the work. The yellow highlighter is for my green-brown-red colorblind child (the three youngest boys all have varying colorblindness issues - if you play "I Spy" with them don't let them pick anything red or green ... just saying). I can circle his math errors til my red pen runs out of ink, but he still won't easily see it. He sees the shape, but he also circles his problem numbers and answers, so my red circles just blend in with his pencil circles. As a result, all his mistakes or things he needs to be aware of are circled and highlighted. 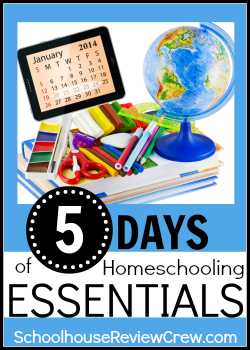 So there you have it, as simple as it sounds those three pens are very essential to me and I do not sit down and begin the home schooling day at the kitchen table without them. Firstly your photo is gorgeous!! Who knew a collection of pens could look so awesome. 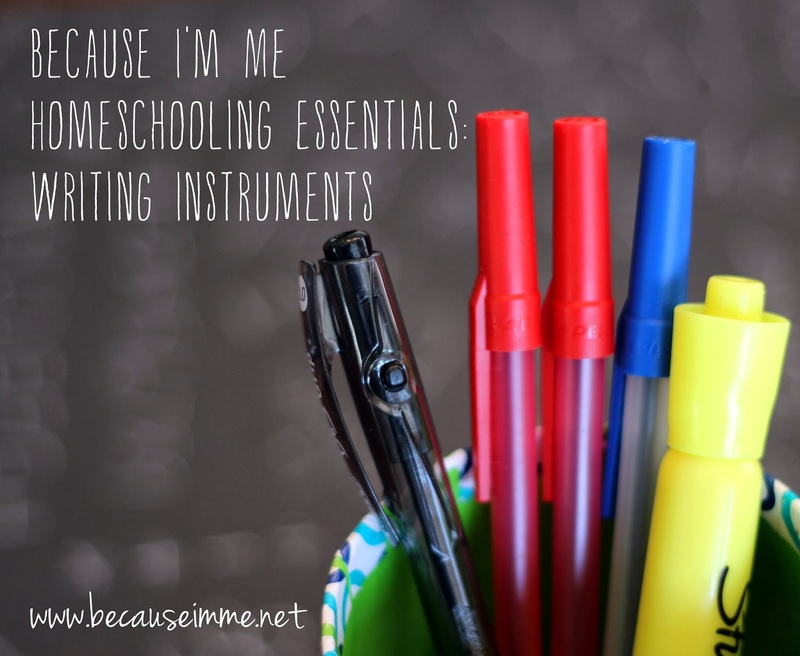 Second, you are so write that there isn't anything too simple when it comes to homeschooling. The basic tool can make or break your morning. I can't tell you how much wasted time we have in a day looking for pencils! I think we need a container to get us started every morning. Thanks so much and looking forward to the rest of your posts this week! I'm so picky about my pens. I'm a little OCD about them. I need a blue bic pen, a yellow highlighter, and a red gel pen to do anything. I've always been like that, as a student, and now as a homeschooler. Don't ask me why, no good reason- but I always have these three on me! Oh yes, they are totally essential! I also have a red pen, and my day can't get started without it! That sounds like a great method you have in place! This made me chuckle. I had never thought of the red circles disappearing. Great idea! I love colored pens, too! I learned from a friend about FriXion pens and highlighters. They are my new favorite *toys. * lol! They're erasable; they literally erase marks completely. I love using them in my planner.